I will be teaching Yoga, meditation and pranayama from an Ayurvedic perspective on a retreat this November. Its being run by Adventure Yogi in beautiful Somerset. As its Autumn/ Winter time, we need grounding, warming and nourishing! If you mention ‘AyurvedicYogi’ when booking, you will get £50 off! Booking information: info@adventureyogi.com or call us on 01273 782734. For more information click here. Also, click here to see an earlier article on how to tailor your yoga practice this Autumn. Refresh body and mind by escaping to the countryside for a rejuvenating yoga retreat. Immerse yourself in yoga, enjoy health fortifying food and explore the stunning Somerset countryside on this relaxing yoga retreat weekend. There will also be a 90 minute introduction to Ayurveda workshop on Sunday. On these well-being yoga weekends pamper yourself with a treatment, curl up by the wood burning stove, have a snooze or indulge in a book you have been wanting to read but haven’t had time. Perfect for those who work as hard as they play and can never find the time to look after themselves, you will find time to relax and let go on these weekend yoga retreats in Somerset. With lots of yoga, delicious food, countryside walks and on site treatments to soothe away the aches and pains of modern living, whether you’re after some active relaxation or indulging in a slower pace of life, then this is the weekend you’re looking for. 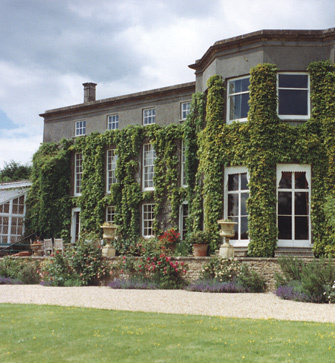 Our fabulous yoga retreat is just a stone’s throw from Glastonbury in South Somerset. Take a step back in time when you join us at our yoga retreat whether it’s dining in the great hall or marveling at the 18th century family portraits on the walls, you will feel like you have had a taste of olde English aristocracy. The sweeping lawns, mature trees and surrounds of the gardens and countryside provide a welcome respite from busy modern day living. Double room in cottage (3 nights) £395pp for single occupancy) £345pp for 2 people sharing (2 nights, £345pp for single occupancy) £300pp for 2 people sharing. Cost for single occupancy for rooms is 40% extra. 11:30-1:30PM: Massages and free time to read, explore and enjoy the beautiful surroundings. So let the AdventureYogi team work their magic on you on their yoga weekend retreats in the Somerset countryside.